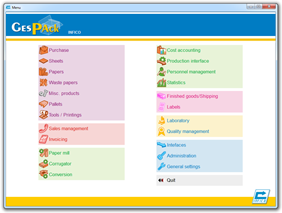 INFICO, vendor of the ERP GesPAck, has earned the competency « Gold Application Development » which is the highest level in MICROSOFT partnership program. This new certification confirms the expertise and the capacity of INFICO to meet the evolving needs of its customers. 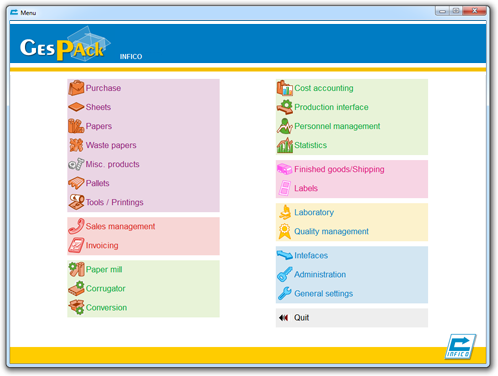 To meet its customers needs, INFICO provides its ERP GesPack as SaaS (Software as a Service). Thanks to a simple Internet access, this service allows you to access to your business applications which are hosted in the highly secured datacenters of our partners. Implementing the « Cloud » technologies in our technological skills, we are able to host partially or totally your applications. evolution flexibility : your applications are constantly updated and you can modify the cover range of your ERP very quickly. The French review « Revue du Papier Carton » honored us by writing a detailed article describing the studious collaboration that has been existing for about twenty years between Infico and Viallon Emballage. This is a typical example of the opportunities offered with GesPack in a cardboard plant and the developments that we are able to implement. 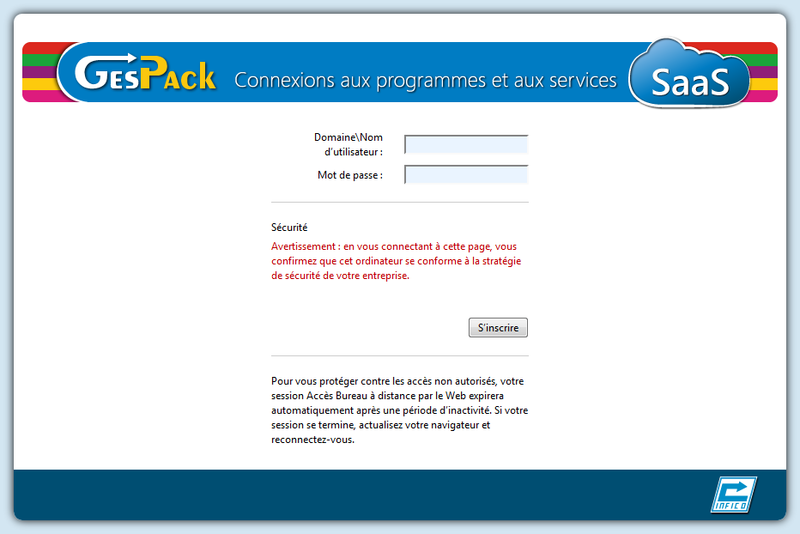 If you plan to outsource the hosting of your ERP GesPack, a support guide is available on request. to clarify the requirements to expose to the outsourcing provider, from a technical, organizational and contractual perspective. Every new Microsoft operating system version comes with its share of surprises. We feared the worst about Windows 8 and its dual interface Metro/classic, but GesPack is fully compatible with these new features and operates very well in each interface. Therefore you can renew the IT equipment without any fear for the functioning of your programs. As part of its overall modernization, we decided to give to GesPack ERP a new logo (simpler, more expressive and dynamic). It represents the unwinding of a paper roll, and its corrugation through the letters “G” and “P” that completely illustrate our business gestures. 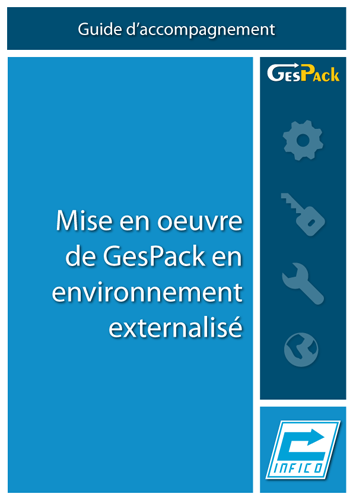 For more than 20 years, GesPack is being developed on a daily basis. We wanted to offer you a standardized 8.0 release, with a revised display and using a more contemporary design. This is why all the icons from the menu, the modules and those within the applications have been redesigned and customized. This offers to each one a true meaning in order to make GesPack being visually clearer and to improve its user-friendly interface.